The Big East race is up for grabs early and No. 15 Marquette can stay within arms of No. 22 Villanova for the top spot with a win over Providence on Sunday at Fiserv Forum. Here are my five things to watch for. With A.J. Reeves out for a little more than a month with a foot injury, Alpha Diallo has carried more of the scoring load to make up for the loss. The junior guard has produced six double-doubles this season. Diallo comes into Sunday’s game as Providence’s leader in PPG (17.2), RPG (8.7) and APG (3.4) and will need to elevate his game in hopes to make it back-to-back wins. 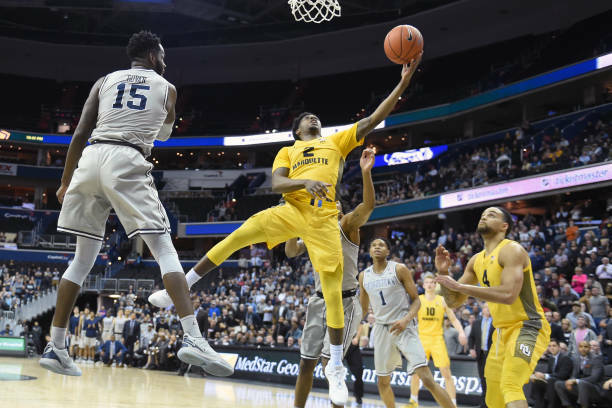 With Markus Howard a game-time decision for Sunday’s game with back tightness, Sam Hauser could be called upon once more as Marquette’s top option on offense. The Golden Eagles could be in good hands as Hauser stepped up with a career-high 31 points at Georgetown on Feb. 15 after Howard left the game after the first four minutes. The performance propelled Hauser to become the 50th member of the 1,000-point club at Marquette. In need of other scorers outside of Howard and Sam Hauser, Sacar Anim has provided that additional outlet with an average of 11.4 points per game in Big East play. If Howard can’t go, then Anim’s value will be needed on the floor as he season-high came against Xavier on Jan. 6 with 20 points. The highly touted freshman has begun to deliver with 16 of his 18 points coming in the second half in a 72-63 win at Seton Hall on Jan. 15. Duke responded after being limited to 14 minutes by Providence coach Ed Cooley in the 96-90 overtime loss to Georgetown on Jan. 12. Unrelated to the game, but significant as arguably the face of Marquette basketball this generation in Dwayne Wade will return to be honored at Fiserv Forum on Sunday morning. Before winning multiple championships in the National Basketball Association, Wade put the Golden Eagles back on the national map as he led them to an improbable run to the Final Four in the 2002-03 season, which was the school’s first since 1977 national title team. Wade will be honored throughout the day starting with a press conference on Sunday at 9:45 a.m. CT prior to tipoff.